How to Make Ringtones for iPhone XS (Max)/XR/X/8? The Expert Guide! Commonly, ringtone is a reflection of someone's inner side so that people always set their favorite song as ringtone. When it comes to iPhone ringtones, it's quite tedious and dull to keep the original Chimes or Ripple tones. And it would be an awkward situation that a phone rings with Chimes tone in public, then you pull out your iPhone and find nothing had stirred there. 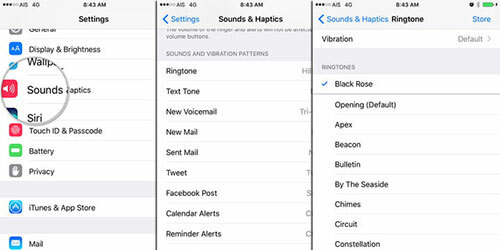 Whereas, if you've customize ringtones for iPhone, things are different. Besides, with the release of iPhone X, why not make ringtones for iPhone X to go with the impressive iPhone X pros like Face ID, wireless charging, OLED display, Dual 12MP cameras, A11 Bionic chip etc., making your iPhone X more personalized and remarkable. Dazed with iTunes Ringtones Making for iPhone XS/XR? 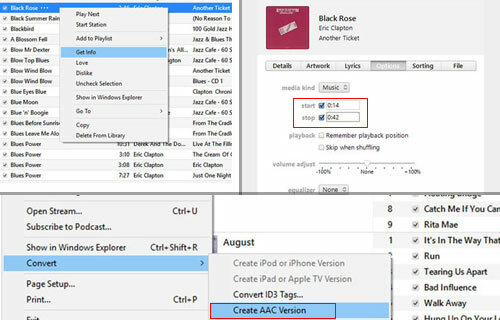 Turn to MacX MediaTrans: 4 Steps Only to make & add ringtones to iPhone. Make a song a ringtone from existing music and bulk sync ringtones to iPhone 8. Add FLAC, WMA, WAV, RAW, etc. ringtones to iPhone (built-in audio conversion). Delete files & transfer song, video, photos, ebooks, etc. between iPhone and PC. 4. Copy the file and delete the old one. 6. Add files to iTunes, then sync and set it to iPhone ringtone. But to be honest, making ringtones for iPhone via iTunes is quite complicated. And iTunes not working when making ringtones happens from time to times. For example, iTunes 12.4.0.119 doesn't have "convert to ACC" option; There is no Tones option on iTunes 12.6; You can't move ringtones to "Tones" folder in iTunes; When you try to delete the song, there's no option to "keep file" etc. 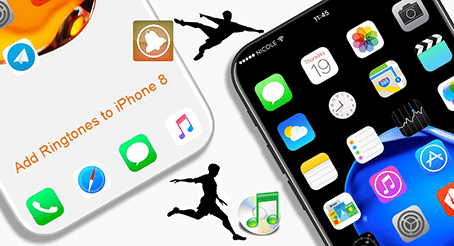 To get rid of the troublesome errors of using iTunes to create ringtones for iPhone X, iPhone 8/8 Plus, iPhone 7/6/6S/SE/5 etc., it's a wise choice to quit iTunes and move to other iPhone ringtone makers, among which MacX MediaTrans is well received. MacX MediaTrans enables you to make ringtones for iPhone X/8/7/6S/SE from any songs, no matter the iTunes purchased playlists, downloaded music from YouTube/ Vevo, or the synced songs from other devices. Besides, unlike iTunes' complicated steps to customize ringtones for iPhone, this iTunes alternative achieves ringtones making within 4 steps, including trimming ringtone clips, converting to .m4r audio format and adding ringtones to iPhone. Prior to everything, you need free download the iPhone ringtone maker for Mac or Windows version on PCs and launch it. Now you can customize ringtones for iPhone X/8 fast and easily. Connect your iPhone X/8 to computer with via USB. Your iPhone files will be automatically detected on computer. Then click "Music Manager" on the main interface. Tick on the box to select your favorite song and place you mouse on it. Click "Click to Make Ringtone" to enter the ringtone trim window. Now you can set the start and end time of your ringtones by moving the lines. Then click "OK" and go back to main interface. BTW, the M4R iPhone 8 ringtone will be kept with 40 seconds. Check if your ringtone is successfully created in the "Voice & Ringtone" panel. Then tab the "Sync" icon to transfer and add ringtones to iPhone XS (Max)/XR/X/8. It only takes a few seconds to get everything done. Within the same steps, you're free to set any song to iPhone X ringtones. Back to your iPhone X/8, after you send ringtones to iPhone, setting them to iPhone ringtones comes to the next step. But how? Just tap Settings, followed by Sounds and Ringtone option. Afterward, select your desired ringtone from the top of the resulting list. Also, keep in mind that you can always set the new ringtone as your text, voicemail, or email tone in addition to your notification sound for Facebook posts and tweets. You can use it as the default sound for any notification or alert. Repeat the process as necessary! MacX MediaTrans allows you to create custom ringtone to iPhone X/8 from existing songs, add external FLAC, WMA, WAV, RAW, MP3, M4P ringtones to iPhone X/8 with built-in audio conversion feature (no need to change file type), delete ringtones, transfer ringtones to iPhone X/8 etc. Tired of Complex iTunes Ringtone Making? Try MacX MediaTrans!